This is my last traditional Safety Net column of the year. Next week, we’ll go over some of the dividend cuts that occurred this year and whether we saw them coming. 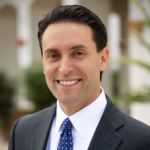 In February, I reviewed mortgage real estate investment trust (REIT) Apollo Commercial Real Estate Finance (NYSE: ARI). In the first nine months of 2016, it had generated $147 million in net interest income (NII) and paid out $95 million in dividends. In February, Bloomberg expected NII to grow to $250 million for the full year of 2017. Let’s check back in with Apollo and see if it is meeting expectations. Through the first nine months of this year, Apollo has generated $191 million in NII, a 30% increase from last year. For the full year, NII is forecast by Bloomberg to come in at $261 million and rise another 20% next year to $314 million. Meanwhile, Bloomberg analysts expect it to pay out $168 million in dividends this year, for a payout ratio of 64%. That means the company is paying out only 64% of its NII to shareholders. That’s a nice, comfortable margin. If NII were to fall, the company would still have room to maintain the dividend. Apollo has been paying dividends since 2010. The company has raised the dividend three times and never cut the payout. That’s not surprising, considering NII is in strong growth mode. And it’s succeeding even as times are tough for mortgage REITs. They borrow money short term and lend it out long term. The difference is called the spread. Right now, spreads are very narrow because the difference between the two-year and 10-year Treasurys (also known as the yield curve) is also very narrow. So it’s harder for mortgage REITs to make money when the spread is so tight. Should the spread widen over time, which I expect it to do, that could mean even higher NII for Apollo. The stock has a juicy 9.8% yield, booming NII and a low payout ratio. It remains one of the strongest high-yield stocks in SafetyNet Pro’s database. 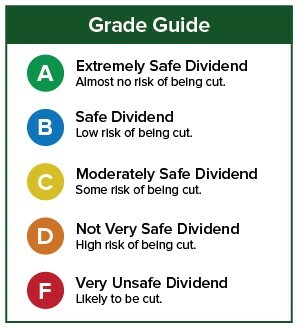 If you have a stock whose dividend safety you’d like me to analyze, please leave the ticker symbol in the comments section. P.S. You can follow me on Twitter. Throughout the day I post my observations about the market (and occasionally other things). I’m @stocksnboxing.